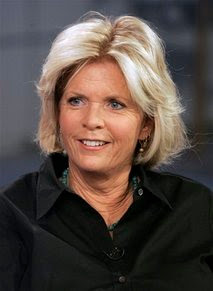 Meredith Baxter, who played mother Elyse Keaton on the 1980s TV series "Family Ties," has revealed that she is a lesbian. "I am a lesbian, and it was a later-in-life recognition of that fact," the 62-year-old actress said in an interview Wednesday on NBC's Today show. Baxter said she has been in a relationship with her girlfriend, a general contractor, for four years. "Some people are saying, were you living a lie? And, you know, the truth is, not at all. This has only been in the past seven years," she said. Baxter has been married three times, including to David Birney, her co-star on the '70s TV series Bridget Loves Bernie. She is the mother of five children. Baxter said she is "extraordinarily happy" and the support from her family and friends was immediate and unqualified.